Alright drumming fam, I have a special one for you today. I have been wanting to interview this person for awhile. My schedule has been krazzee lately and I finally got some time and contacted her...again and we got the ball rollin'. Most of you know her and are friends with her on FB or IG. 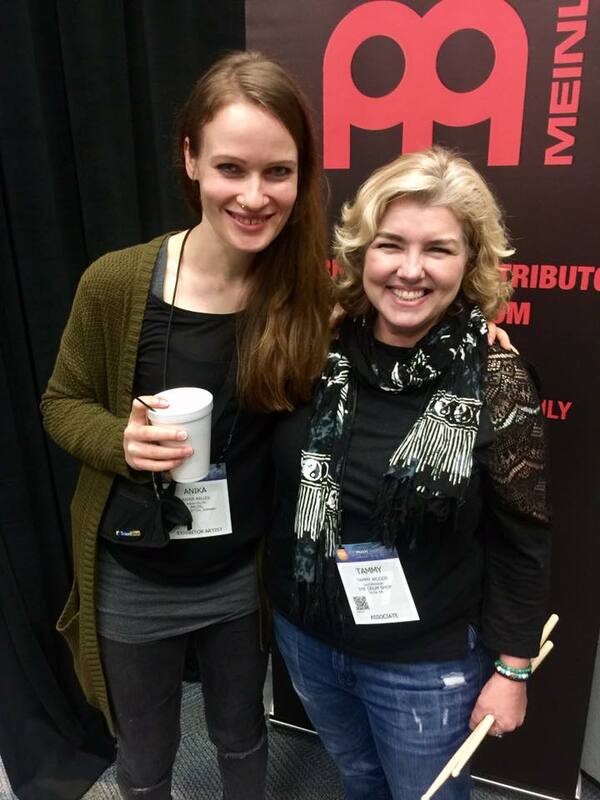 She is an awesome presence within the drum community and an inspiration. She has the classic looks of a certain Hollywood legend and a big heart to go with that big beat of hers. If you've noticed, she's been getting a lot of coverage lately with interviews, features and what not. Well, it's all deserved and I'm glad to get my turn and to share with you all. Ladies & Gents...give it up for Tammy Mitchell-Woods! First off: Are you ever not smiling? Haha, yeah, I am smiling, laughing and generally being goofy most of the time. Its not that my life is never hard but I choose to have a happy, positive attitude. I am an Okie from Muskogee ( Oklahoma). I was born there, graduated high school and got married there. I taught myself to play when I was 12 and played until I was 21 or 22 when my husband joined the army and we were moved to our first duty station in Anchorage, Alaska. We had 2 children and was busy raising them. I didn't play again until about 15 years ago in my 30's. Are there any genre's you really like to play? I saw guys on TV and in concerts playing drums and just knew that if I ever had a drum set, I could play it. I decided at 12 that I would work all summer mowing lawns to save enough for a set, and that's just what I did. I would say smooth and solid. I am not a flashy player or a hard hitter. Instead I play musically. I lock in with the bass player and I try to play with the same level of emotion the singer is bringing to the song...when they get bigger, I get bigger, etc... I watch the other band members carefully when I play. In the end, we play as a symbiotic unit that feels magical when it's done right. What are some of your goals for your drumming career? I just started teaching drum lessons in person and via Skype and I really am loving that and want to continue building my student base. I still hope to go on a national tour this next year with a really tight band. I've been asked to join several bands lately but am holding out for a really good fit with great music. 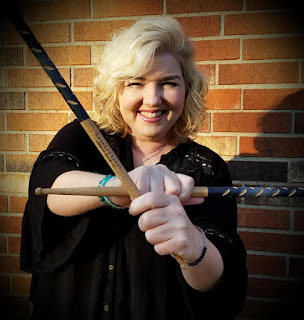 I am also going to be co-teaching masterclasses at a female drummers day in Tulsa with Drum World Drum Shop in the spring 2019. That is going to be an amazing, really exciting day. The right gig: Waiting for the right gig. I see a lot musicians rush into gigs without being ready or without knowing all the details of the situation. Is it hard to not get caught up in the offer and wait for the right situation? Yes, in fact I just got a call last month to tape a TV special and go on tour with an R&B artist. We agreed on my fee and started talking details. She was really bad about communication and I made a decision that touring with this person would be really rough so I bowed out. If its not the right fit, its not worth the headache and stress. There are plenty of excellent musicians with a professional attitude out there. I am waiting for the right band and while I am waiting, always learning and improving. Female Drummers Day: Sounds like a kool event, indeed. How did that come about? I had the idea to do it a couple of years ago and needed to partner with the right drum store to make it happen. I've become good friends with Mat Donaldson, owner of Drum World in Tulsa, and he and I started talking about it. He is all the way on board. I've heard from friends in my Drummergirls United group and people are flying in from all over. I am very excited about it! Obviously in the last 10yrs or so, we have really seen an increase in women behind the kit. And they're not just goofing around. There are some great players and are getting some high profile gigs. 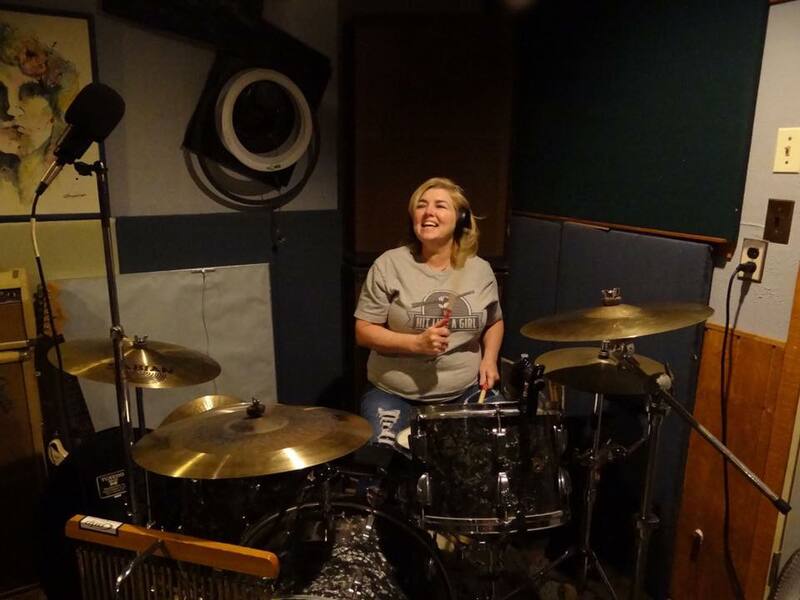 How do you see the culture in drumming for women? When I was growing up in the 70's, for the most part women were looked down on for playing the drums. We were told "It's a boys instrument". I kept asking. "Why?" This made no sense to me. Girls can sit. We can hold sticks. We can move. We can keep time. We have rhythm. There is absolutely no reason that a female can't play the drums, the guitar, bass or anything else that she wants to play. I am thrilled to see so many females playing now and there is a ton of amazing talent out there! The female drummers that I know are extremely supportive of each other. I love that and hope to cultivate that attitude in all of my social media, my FB group Drummergirls United and in lessons and classes. I want gal drummers to know that we are not in competition with each other. We need to strive to be a better drummer and musician than we were yesterday. That's all. Name an artist you would like to play for? I know you play at your church, tell us how long that has been going on and how did that start? I started playing at my church when I was 14 yrs old and played until I graduated high school. I started back about 15 years ago. I know your faith is an important part of your life, how do you see it playing a roll in you as a musician? Faith is a huge part of my life. When I am playing at church, even though I am having so much fun, it is a part of the way I worship. I am so incredibly thankful that I get to do this. That carries over into every area of my life...I am just really thankful. What other music projects are you involved with? Are doing any studio sessions? I have recorded a worship album about 10 years ago. I haven't been doing studio work recently although I would happily with the right band. I love playing music like Dirty Loops, FLR Project, really any fusion projects that's fun, funky and challenging. I absolutely love it. I am the staff drummer at my church, and play in another worship band on Monday nights. I play in local bands as well but nothing permanent right now. Describe your current set up & gear - drums, heads and sticks...ect? Oh gosh, I have 6 sets currently. I haven't signed as an endorsing artist with a drum company because seriously I can't choose. And finally a Sakae Pac-D in cherry/mahogany red fade 10 tom, 13 floor, 12 snare, 14 bass drum on a cradle. My cymbals are all Heartbeat cymbals. I am proudly an endorsing artist. I have lots of cymbals from them and love every one of them. I only use Cooper Groove drum sticks. Because of the way they are constructed I don't drop sticks, my grip can be looser and more relaxed and i am not getting blisters anymore. 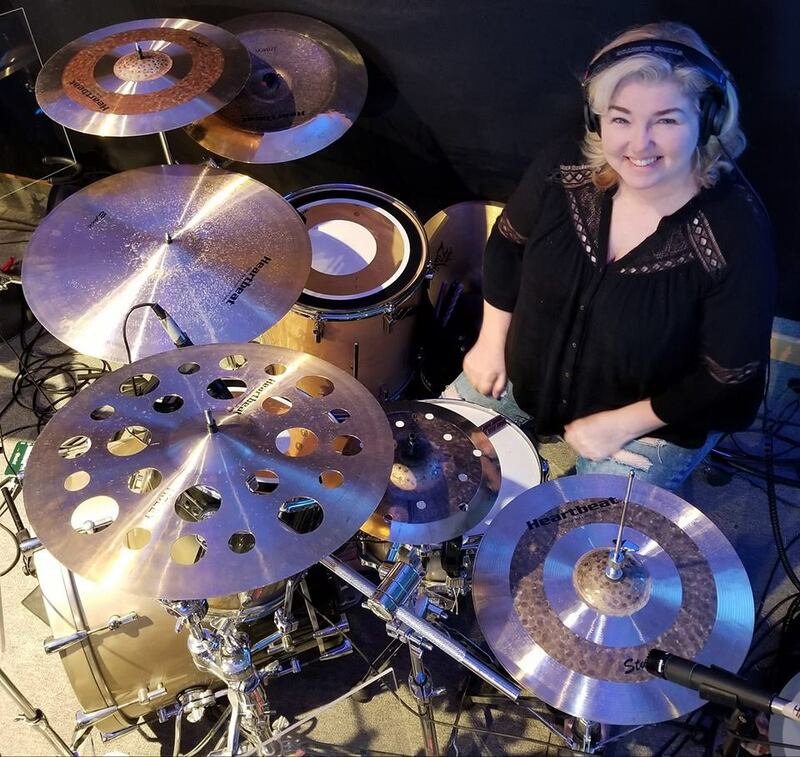 Heartbeat Cymbals, Cooper Groove Drum Sticks, Kick Strap, Ahead Wicked Chops Practice Pad, Sledgepad, The Sweet Spots Drum Dampeners, and Pray With Drums Gear. I generally use Aquarian Studio-X, Remo Emperor and Evans G2s or EC2s. I also really like the Evans UV1s. I know you just got a new kit, do you consider yourself a gear junkie? If you weren't playing drums, what would you be doing? Well, I am a hospice social worker a few hours per week, counseling patients and families. How has drumming impacted or changed your life? It has changed me in almost every way. I am a drummer, inside and out. Drums have so much shaped who I am. I even choose clothes according to " Can I drum in that?" Haha When I am having a hard day, drumming can change my whole outlook. It puts me in my happiest place. When I am drumming, even if it's learning something really difficult, I am happy, I am free, I am creative. Drumming is very healing for me. Danny Sarephine (Chicago). The very first songs I learned to play along to was to Chicago and he is an incredible mixture of jazz/rock drumming. James Bradley, Jr. Is an incredible drummer. I first heard him with Chuck Mangione Live at Hollywood Bowl. Fusion, funky and precision. I studied that album to learn his style. 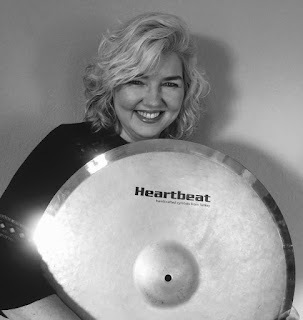 Anika Nilles is one of the premier drummers today. Her style is incredibly unique and powerful. I love the music that she writes and her interpretation and execution of the music is ingenious. Mike Johnston is the best drumming instructor that I've ever come across. I love his smooth, diverse style of playing and his teaching is easy to follow and extremely encouraging and uplifting. Aron Mellergardh is the drummer for Dirty Loops and to me has a perfect playing style. Its energetic, musical, and locked in with the other band members. I study his fills and groove and make them my own. Not a concert but a masterclass at PASIC in 2015 where I saw Larnelle Lewis then an hour later my friend Anika Nilles. If I can, I practice daily. Sometimes its as simple as putting my favorite music on and just playing. Sometimes I am working on getting lessons ready for my students the next week and others its working on specific skill sets: linear fills vs non- linear fills. Kick speed, hand speed, rudiments, incorporating kicks into more of my fill patterns. 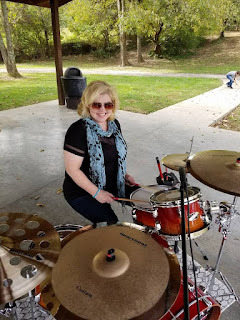 Because I am self-taught I never learned to read drum music really or rudiments, techniques, etc...so I am forcing myself to learn to read drum music better and to become a very well -rounded, educated drummer. You post some kool vids of you playing, has this helped you improve on your skills? Yes! The reasons I started recording is so I can see what I played that I should keep in that song, and what I should do different. Also I was very sick, newly diagnosed with Lupus and I was having so many breathing problems we thought I might die. My husband convinced me to let him make videos of me playing because , up to that point, there weren't any pics or videos of me playing. One of the things I notice the most in your vids, is that there is a joy that comes through in your playing and it is inspiring. Do you feel like or get the feedback on how you inspire people through you drumming? Almost daily someone writes to me to tell me that I've inspired them to keep playing, to hire a drum teacher, to audition, to practice or just to have a happier attitude. I am floored and humbled that my life inspires anyone. This makes me so happy. You have posted about you personal, health issues..How has that effected your playing and how do you press way? Yes, like I mentioned, I have Lupus, Fibromyalgia and 3 other autoimmune diseases. Generally Lupus attacks my lungs making me short of breath or wheezing a lot. It keeps my joints inflamed and I feel like I have the worst flu I've ever had every day, and terrible brain fog and it never goes away. My skin burns, I am so tired and dizzy sometimes I can hardly stand up, I get sores in my mouth, my hair falls out and I have bouts of nausea from the anti-malerial meds I take to protect my organs. Generally I feel really sick every day BUT if I have any energy at all, I play. It wears me out sometimes and I have to take breathing treatments sometimes afterwards but I HAVE TO PLAY. If I am too sick, I tend to go to Facebook and encourage my buddies there. It all works out. I know there are days where you can't even play, does that drive you crazy? Yes and sometimes makes me cry, thinking," What if this gets so bad that I can't play anymore?" I honestly don't know what I would do...but I know there is a plan for my life so I take it one day at a time and make the most of every day that I can. Are drums your best therapy? Yes, without a doubt. Close second, though, is spending time with my husband, my best friend, my kids and my other family members. I feel so blessed to have them in my life. As someone who deals with health issues of my own, to see you in your honesty and courage, I just wanted to say Thx for being light for the rest of us! Being married, I know he's kool with you being a drummer but do you ever drive him crazy with all of this? Actually, its the other way around haha. He spends tons of time trying to find me the best equipment, designed and made my studio, made a bass drum overhead light for it...he is constantly looking for new snares for me. It's very sweet that he is so incredibly supportive. You have had a number a interviews and spotlight pieces done on you in this last year, did you ever think you would be doing things like this? No, especially at my age and my health but somehow people, (magazines, radio shows, percussion companies, etc...) somehow found out about me and are very supportive of me. I am so thankful! Hmmm, you know, even bad gigs or weird gigs are good gigs to me. If I am playing, I am happy. Churches, festivals, restaurants, country clubs...it doesn't matter to me. I love it all. What was tripping me up for so long was self-doubt. I knew that I was a good drummer but because I was self-taught I felt very insecure about my technique and inability to read drum music. However, if I hear a song, I generally can duplicate it. I started to realize, that is a huge asset. My words for you are...realize your strengths. Build on them. Work on areas that are TEMPORARY weaknesses but never let them hold you back from pursuing whatever drumming dreams that you have. Last Words, Links, Hashtags and Thank You's??? 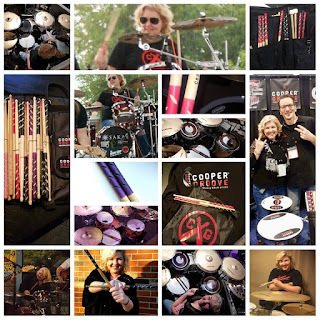 Many, many Thank Yous to all of the people who have encouraged me, hired me and partnered with me in my drumming career. I am working on a website and will have that up by the end of the year. I offer Skype lessons to beginners and intermediate players. You can contact me through my Facebook page. For female drummers I started a Facebook page called Drummergirls United for all ages and all skill levels. Its very encouraging and educational. We have drummers from 65 countries and we are growing. Finally, I will be attending the winter NAMM Show again in January in Anaheim. I would be happy to meet and greet with other drummers who know me through Facebook and my articles and interviews. Well, there you have it Tammy Mitchell-Woods, in her own words. Man, I was right. She is an inspiration and a great person to get to know. This is one of the main reasons why I started TC. To be able to share these stories and careers of players a lot of us might never hear about but need to know about. Tammy is showing us about perseverance and the love of the craft. A fighter and a groove machine. Tammy, once again...thank you so much for doing this. It was really kool being able to peek into your drum life and share it with the rest of our drum family. I will see you at NAMM 2019! As always, if you or someone you know would like to be interviewed and share their drum life, please contact me and let's make it happen.